Check out our new Loyalty program for 50% off Tickets! 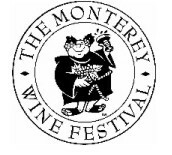 Now in its 43rd year The Monterey Wine Festival has established itself as the premier wine & food event in Monterey. Saturday & Sunday lucky guests will fine savoring bites of wonderful foods that pair well with beers and spirits and sips of world class wines. Now the festival features many new editions like cocktail camp, an entire array of craft spirits and more that keep guests happy and the palate alive with anticipation. Beers and live music added into the mix make this a not to be missed celebration. Included in the Saturday Ticket Price is a Chowdah Challenge & Celebration! Professional chefs from the West Coast continually challenge themselves to make extraordinary chowders and in the 43rd Annual Monterey Wine Festival these restaurants are coming to pay homage to their own special & customer favorite chowders – the stuff that is legendary. Clam, Seafood and Creative Chowders are simmered to perfection and the order of the day. Guests can sample these previous award winning chowders, pick their own personal favorites and simple enjoy cuisine that has become synonymous with Monterey and coastal destinations. Of course wines that pair with chowders will also be available and enhance the celebration even further. Included in the Sunday Ticket Price is another seaworthy celebration. Highlights are our Kings of Calamari and Masters of Mussels! Locals and restaurants from afar bring the best in these two categories. Different seasonings and flavor combinations allow for much to taste as throughout the day different offerings are released alongside an array of international cheeses and charcuterie and more. Guests continue the celebration with a completely mouth-watering experience from both the wineries, spirits and beers and bounty of food. You’ll also enjoy A Cultured Cheese & Charcuterie Experience courtesy of Sysco. Along with all these festival ingredients live music is the final sensation that further ensures a ultimate winning combination. Wine, Food, Beer, Spirits, Music! Aaa hhh! Friday May 31st, the exclusive Friday Night VIP Tasting at The Monterey Wine Festival. It’s the best of the best from across the country and beyond. Fine wines and beautiful sipping tequilas allow for a food and beverage experience that is beyond compare. Don’t blame us if some fine scotch & whiskey make it into the mix too. You will be rewarded with gourmet offerings that will absolutely be one of your food experiences to remember. It’s a great way to meet like minded people that enjoy a luxury food and beverage experience. Like our Facebook pages: Monterey Wine and West Coast Chowder Competition. We have secured a limited number of rooms at an excellent rate right at the exclusive Portola Hotel and Spa. Book your rooms now!